?Serene pleasure? was what Johann Wolfgang von Goethe felt with regard to his collection of Italian majolica, tin-glazed earthenware, painted with vibrant high fire colours and reflecting biblical, mythological and historical themes. Therefore his extensive art collections include a total of 97 majolicas, which have been kept at his former home at Frauenplan until today. After the first unpublished compilation of the collection in 1958, this publication provides the first comprehensive art historical study of the individual objects, based on the most recent research findings. Furthermore, it details the provenance of the majolicas that Goethe purchased between c. 1800 and 1830, especially from Nuremberg. 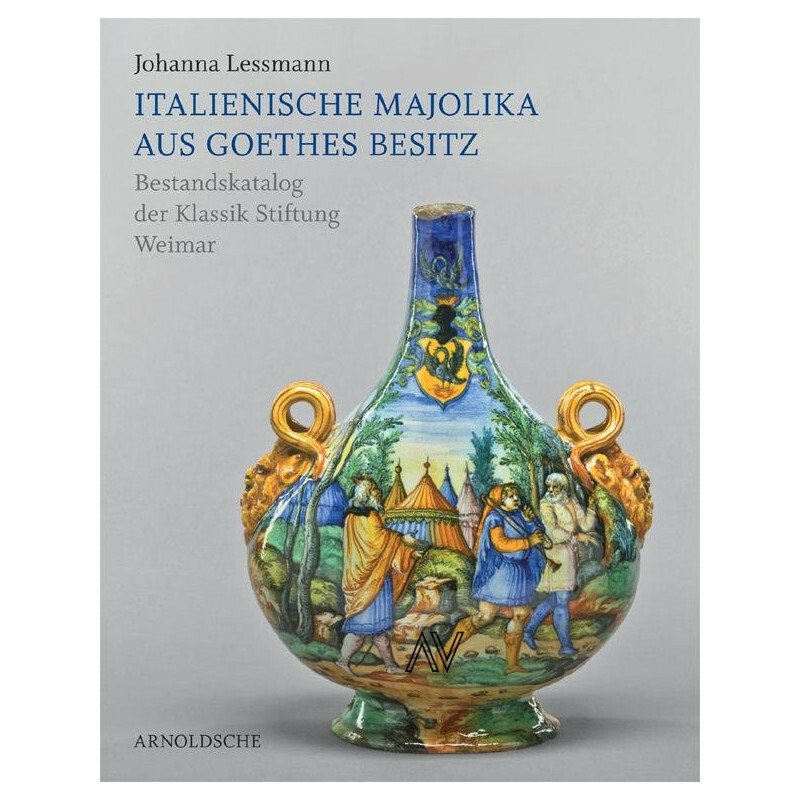 The relations between Venice and the southern German trade centres play an important role here, opening up new insights into the majolica trade. 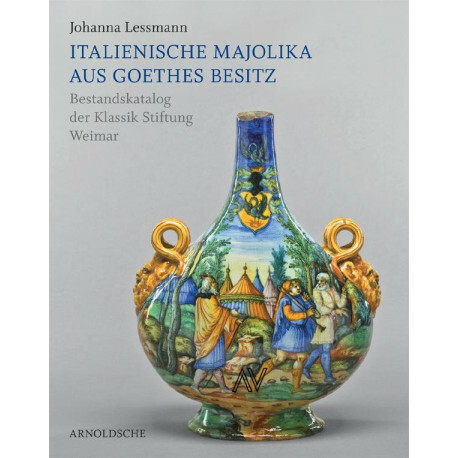 For Johann Wolfgang von Goethe, the appeal of Italian majolica lay in the themes of its ornamental painting, especially those reflecting Greco-Roman mythology. In his view they echoed the splendour of Renaissance art. This publication presents all the objects in his majolica collection, expertly described and with large-format illustrations. Author: Dr. Johanna Lessmann.  Studied art history in Göttingen, Freiburg and Bonn. From 1974 to 1987 she worked at the Herzog Anton Ulrich Museum in Braunschweig (catalogue of the majolica collection 1979), and until 2006 at the Kunstgewerbemuseum Hamburg (catalogue of eighteenth-century Berlin porcelain, 1993). Essays about Meissen, early Viennese and Fürstenberg porcelain, majolica and interiors.